The Belvedere Hotel in liberty style is located in a quiet area 20 m. from the pine woods and 50 m. from the sea. The Hotel is family run. The bedrooms are large and cool with bathrooms, showers, TV color and telephone and wi-fi. Our typical Tuscan food with a large choice of meat and fish, is well appreciated. Breakfast is available at the bar or self-service. The city center, well known for its market place and its harbour, can easily be reached on foot, walking through a wonderful park or the promenade by the sea. 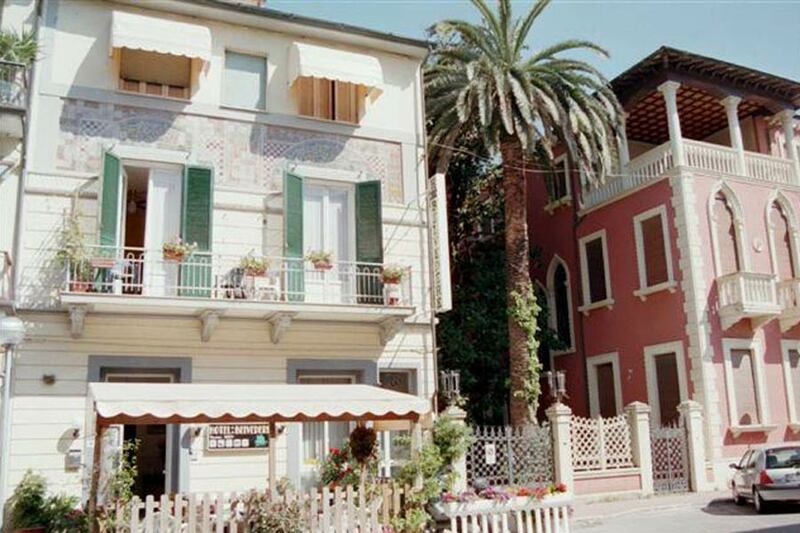 The hotel is located in Viareggio, 50 meters from the sea and 20 meters from the Park of the city. The hotel has 8 rooms with bathroom (single, double, triple, quadruple and family). We are always open. At your arrival you will find tourist office with all information useful to visit the towns near Viareggio (Pisa, Florence, Lucca, Siena and other). Private beach. Calm and quiet and family. WIRELESS INTERNET CONNECTION Free for our customers; Bicycle Hire. Restaurant with specialties of the Tuscany kitchen (menu of meat and fish or vegetarian) and wine cellar. To reach the hotel to the exit of Viareggio (Highway a12|11); continue for the sea; when you arrived on the seafront go to the left in the direction of the port; you observed the lamps in half to the street and at N° 24 go left and find the hotel. From: 01-05-2017 To: 30-09-2017 Only Room (Single): n.d.